Leading Manufacturer of briquetting plant, fully automatic briquetting plant, jumbo briquetting plant, biomass briquetting plant, jumbo 90 briquetting plant and bio mass briquetting plant from Rajkot. We are ranked amidst the prominent manufacturers, exporters and suppliers of a wide array of Briquetting Plant for Ground Nut Shell. Our highly skilled professionals make optimum utilization of modern machines, cutting-edge technology and supreme grade raw material to fabricate this plant as per the international quality standards. This plant is widely used for the process of transforming highly voluminous agricultural waste like saw dust, groundnut shells, cotton waste, etc. into compact & clean non-polluting fuel. Keeping in mind, ever-evolving requirements of our valuable clients, we are offering an exclusive quality Fully Automatic Briquetting Plant. The offered briquetting plant is precisely engineered at our end using quality approved components and progressive technology. 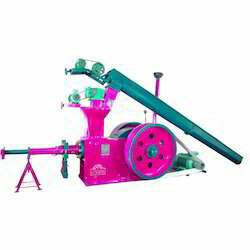 Our esteemed clients can avail this briquetting plant from us at market competitive prices. In addition to this, we provide this briquetting plant in diverse technical specifications to cater the specifications of clients. We are well known industry in market as the foremost manufacturer, exporter and supplier of Briquetting Plant is highly demanded in engineering industries. In the supervision of our adept professionals, offered briquetting plant is precisely engineered using the best quality components with international standards of quality. Furthermore, this briquetting plant is available in different technical specifications for our clients. 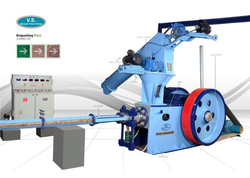 Our prestigious clients can avail this briquetting plant from us at industry leading prices. With sincerity and hard work of our skilled professionals, we have carved a niche for ourselves in this domain by offering Jumbo Briquetting Plant . Being a quality-oriented company, we assure our customers that these machines are excellent on counts of design, and functioning. The machines offered by us are designed at our ultra-modern manufacturing unit using the excellent quality components and progressive technology in conformance with defined quality standards. 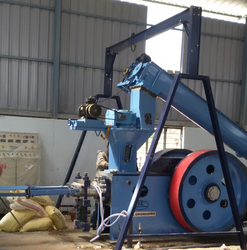 Our company is among the most sought after offering Jumbo 90 Briquetting Plant to the clients. This product is widely appreciated by the clients due to robust structure, corrosion free and sturdy finish standards. 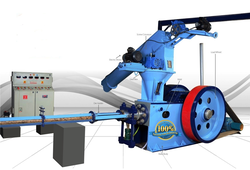 Jumbo 90 Briquetting Plant is manufactured in accordance with the industry standards by making use of best quality raw material and modern technology under the guidance of professionals. 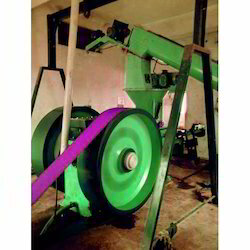 Capacity ( 20% Depending on Density and Quality of Raw Material)	1500 Kg/Hr. Keeping track with the latest market development we are actively engaged in offering supreme quality Bio Mass Briquetting Plant that is procured from trusted vendors of the market. 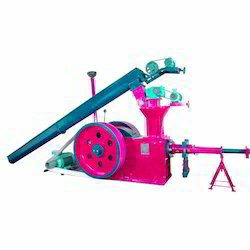 It is used for converting Bio-mass or Argo-forestry waste into briquettes. The provided plant is manufactured using the best quality components and the latest technology in tandem with set industry standards. Further, our offered plant is quality tested on various parameters by adept quality experts. Our valuable clients can avail this plant from us at nominal prices. We are one of the leading manufacturers of Bio Fuel Briquetting Plants that are designed and developed to efficiently handle the biomass comprising Agricultural Waste, Forestry Waste, and Industrial Waste. Here, our in-depth knowledge of the process allows us to design systems tackle the safe disposition of generated wastes through easy conversion of waste into high-density fuel (Briquettes). The superior Briquetting plant technology used by us also ensures efficient and easy conversion of different types of agriculture, forestry and industrial waste in a solid fuel form where the briquettes formed are in shapes of cylindrical logs. Owing to our state-of-the-art manufacturing unit, we are offering a distinguished assortment of Integrated Briquetting Plant. By keeping in mind current market developments, offered briquetting plant is manufactured using well-tested components and high-end technology. Apart from this, a team of quality inspectors conduct a series of quality tests on this briquetting plant for ensuring its flawlessness. Our prestigious clients can avail briquetting plant from us in various technical specifications at reasonable prices. Manufactured by updated machinery, and modern technology at our ultra-modern manufacturing unit, we are offering a distinguished range of Energy Biomass Briquetting Plant. While manufacturing, we used the high quality raw material and modern technology for high durability and robust construction of our products. Apart from this, we deliver the entire range to our end user after testing properly various parameters. Clients can avail the offered range from us at industry leading prices. By keeping track with the market development, we are engaged in providing our clients with excellent quality India Briquetting Plant. Due to its like durability and optimum quality, this range is extremely appreciated by the clients. Besides being manufactured from pristine grade raw material and the sophisticated technology, it is inspected properly by our quality controller. It is available with us in different sizes and dimensions at affordable price.